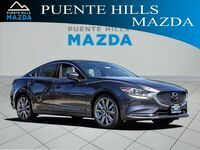 The Mazda6 has been a beautiful car for years now, and the newest version has been released with a brand new signature trim. Yes, just one look at the 2018 Mazda6 should be enough to make you want more. Wooden accents inside up the luxury factor and Nappa leather brings even more elegance to the table. 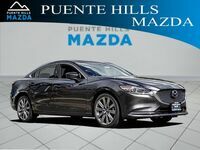 Mazda's premier sedan is out and we're excited about it! 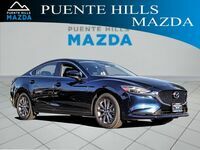 As of mid-December 2017, the 2018 Mazda6 has not yet hit our showroom (check back for updates). With that being said, we can still talk about it, can't we? We are expecting this car to arrive by early 2018, so let's go over a few details. 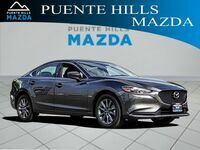 If you want a car with a strong engine, high efficiency, and great style, you can't go wrong with any Mazda model. 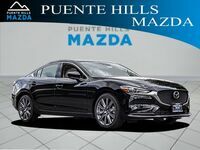 The Mazda6, in particular, showcases an impressive engine under the hood as well as the impeccable design on the inside. Its compact sedan body allows for a touch of sportiness to go with its high-class feel. 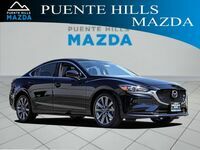 The Mazda6 truly is a beautiful car. We can't stress that enough, so you should just come in and see it for yourself when it arrives. 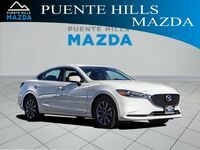 Again, we aren't expecting it to arrive at Puente Hills Mazda until sometime in early 2018. Please check back at our online inventory for updates, or call us for more details. 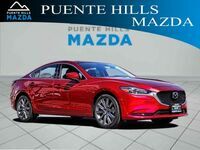 Regardless of when the Mazda6 comes in, we think you'll be wowed when you finally see it and get behind the wheel. 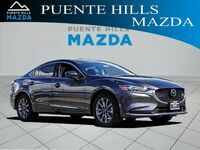 Call us or stop in if you have more questions on the new Mazda6 or any other model. We hope to see you soon!